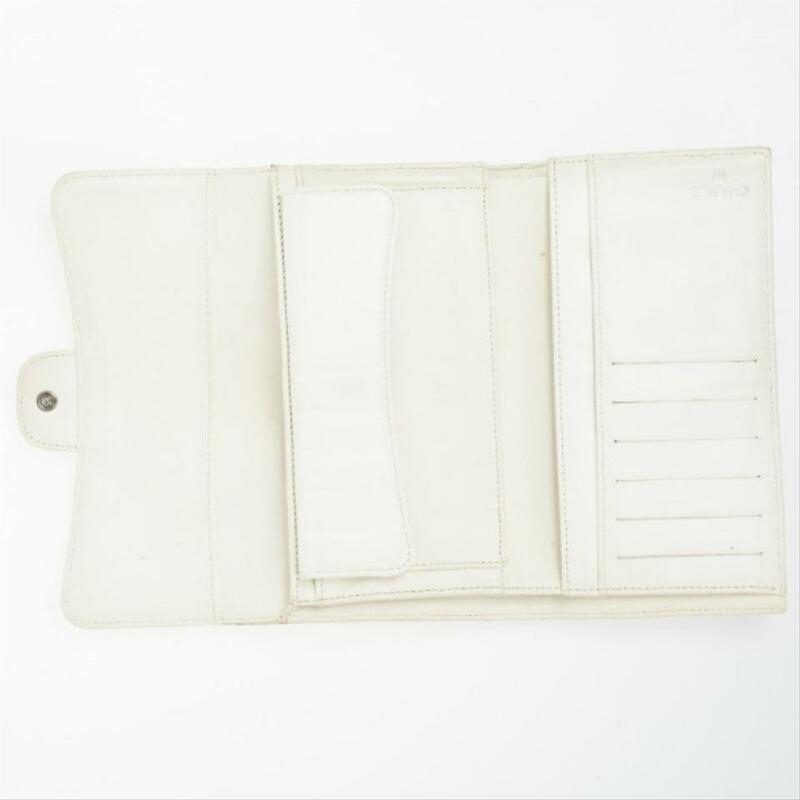 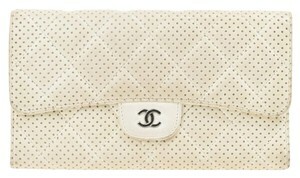 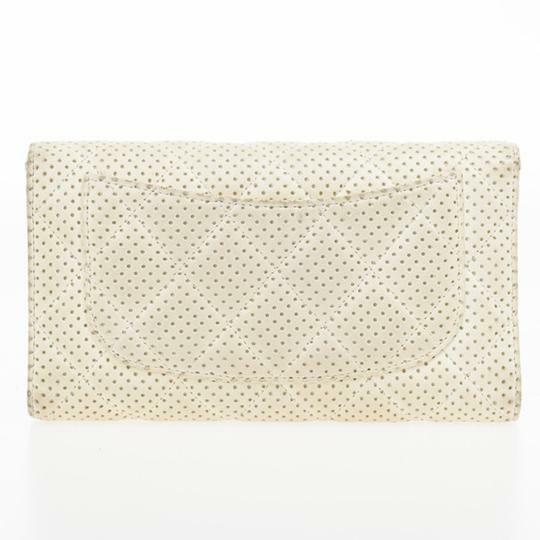 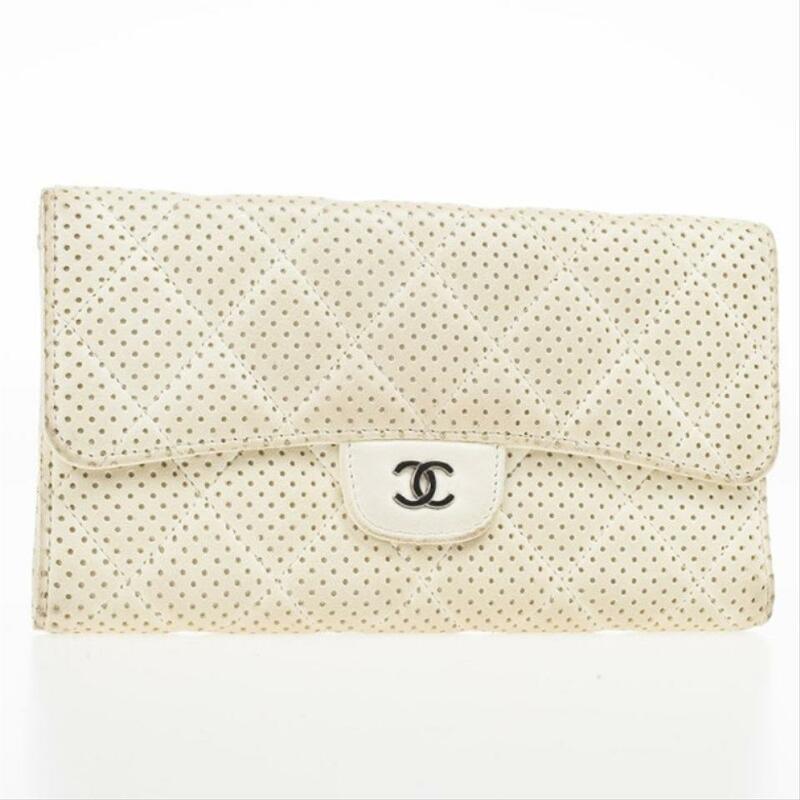 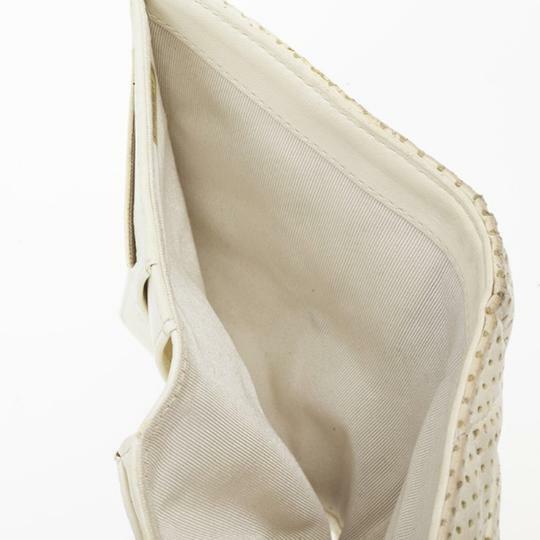 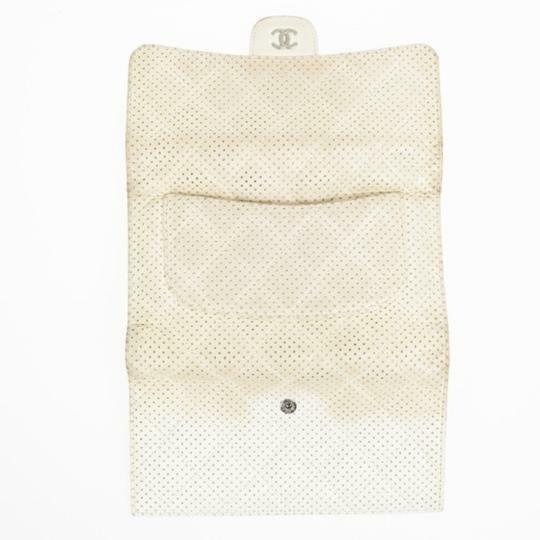 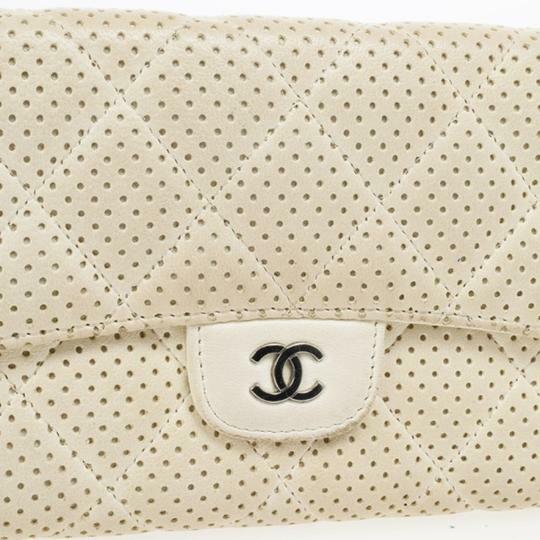 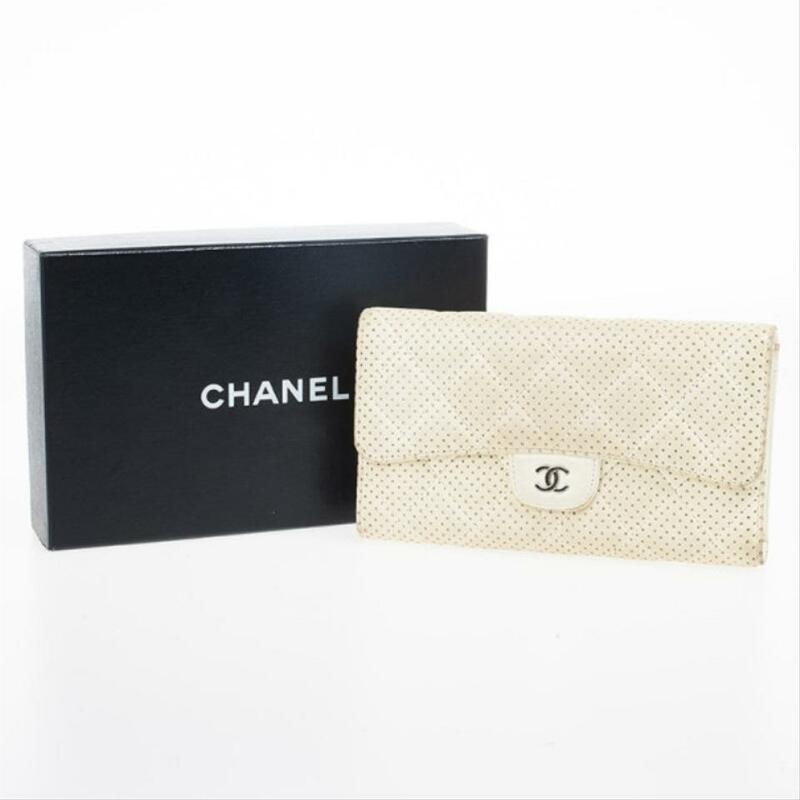 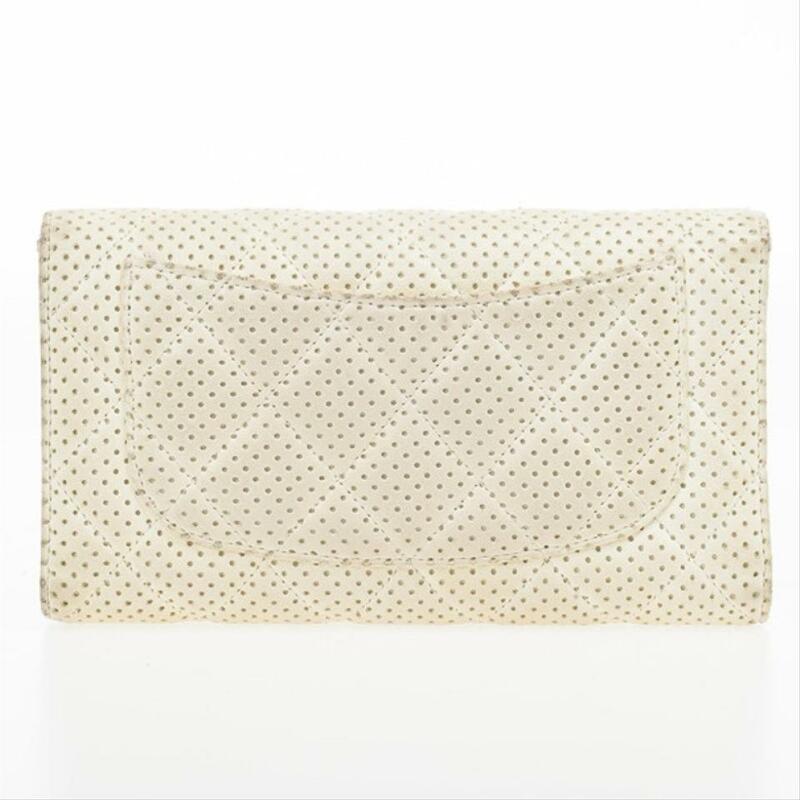 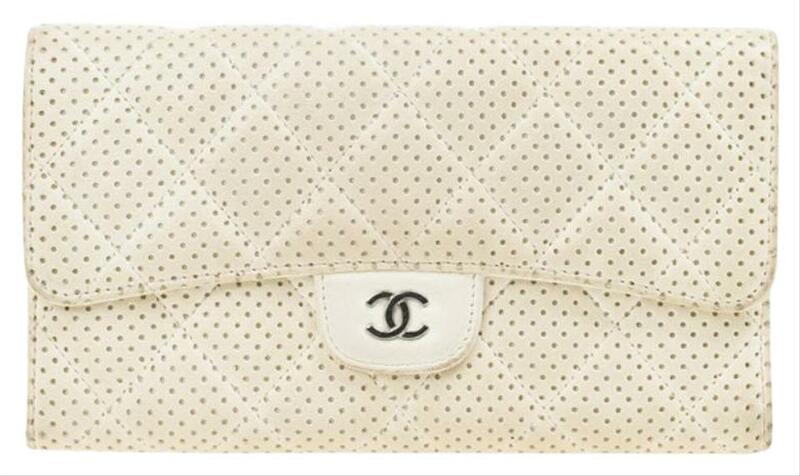 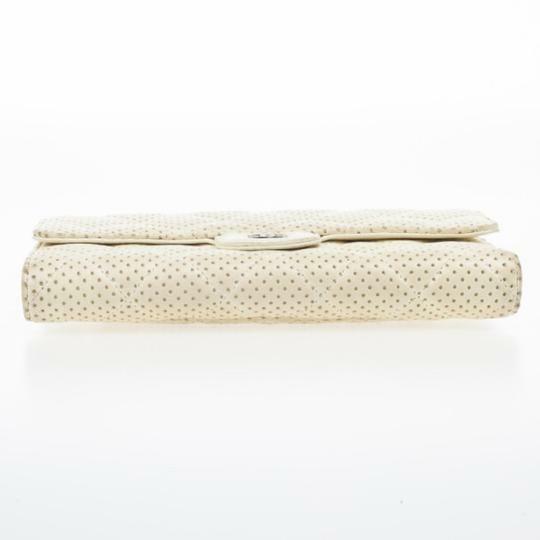 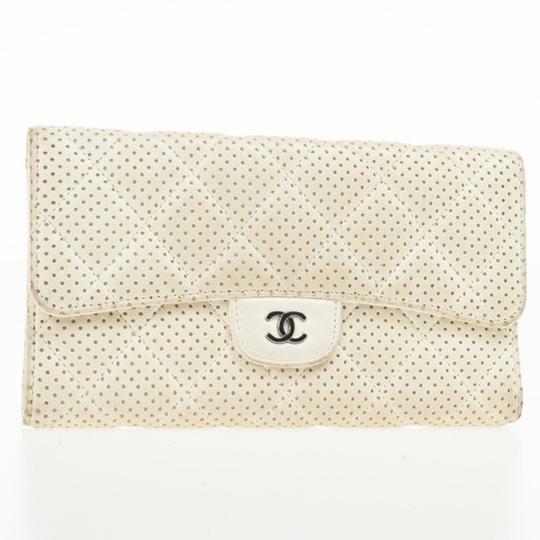 Complement your bag with this fab Chanel White Perforated Continental Wallet. 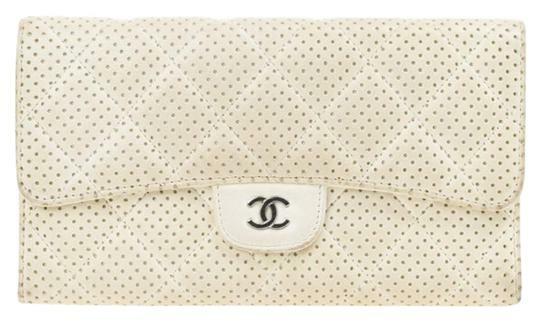 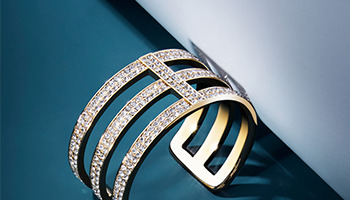 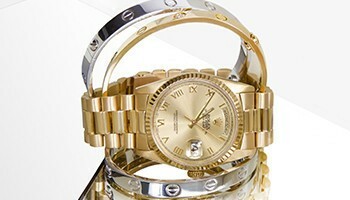 It is crafted from perforated quilted white leather and features a front flap. 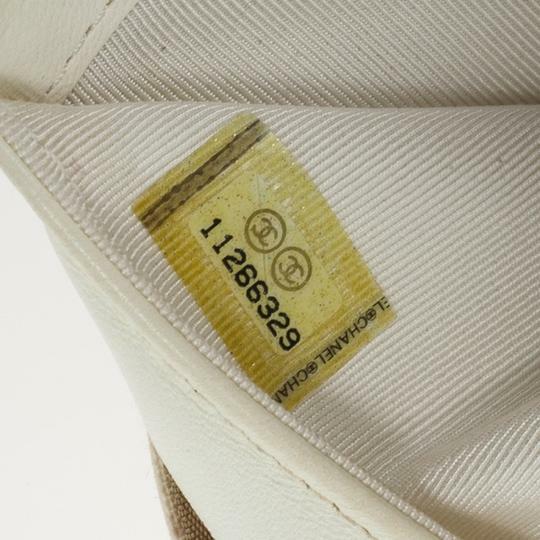 The interior is lined with leather and houses 6 credit card slots, four bill compartments and a snap coin pocket.